One of the easiest Christmas candy recipes you can make is Crock Pot Chocolate Dried Fruit Nut Clusters. 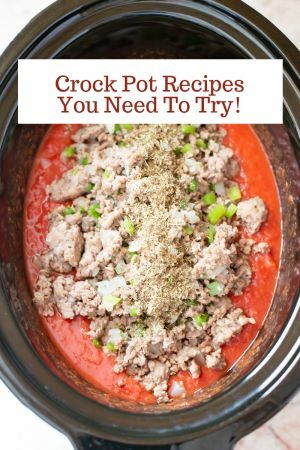 This easy holiday crock pot recipe is sure to become a favorite holiday candy recipe you’ll make year after year. I am in a frenzy whipping up homemade Christmas candy for my Christmas Cookie Exchange. 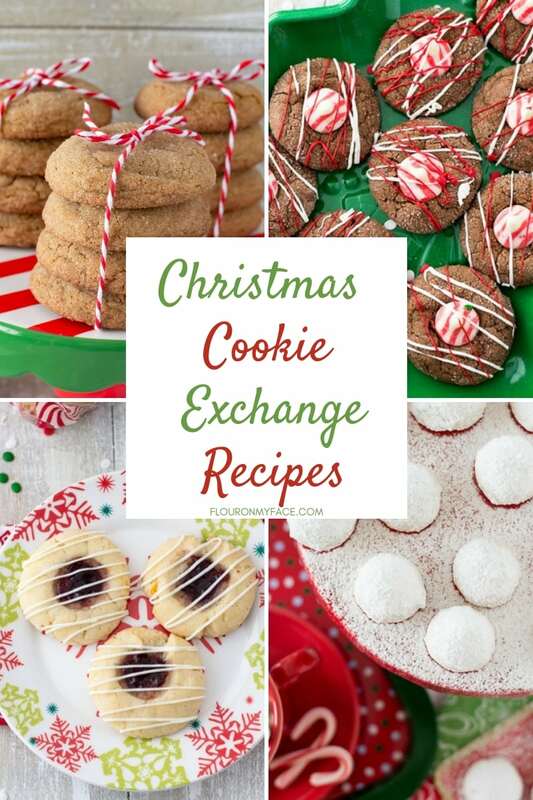 This is one of the non-cookie recipes I am making for my cookie exchange. 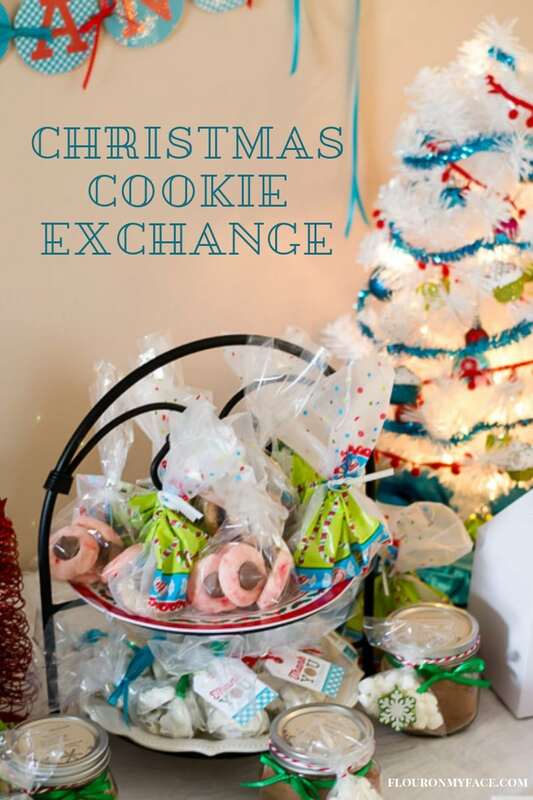 I had to ease up on the cookie swap rules because most of my guests are not bakers. I told them they could bring no-bake Christmas candy if they didn’t want to bake homemade cookies. Most of my guests are my daughter’s friends. These girls have been around me since they were teenagers. They should all at least know how to bake some Christmas cookie exchange recipes by now. I think they are being lazy. I am going to have to have a word with them. One of them, and I am not naming names said she was going to bring Jello-Shots when she heard she could bring a no-bake Christmas treat. 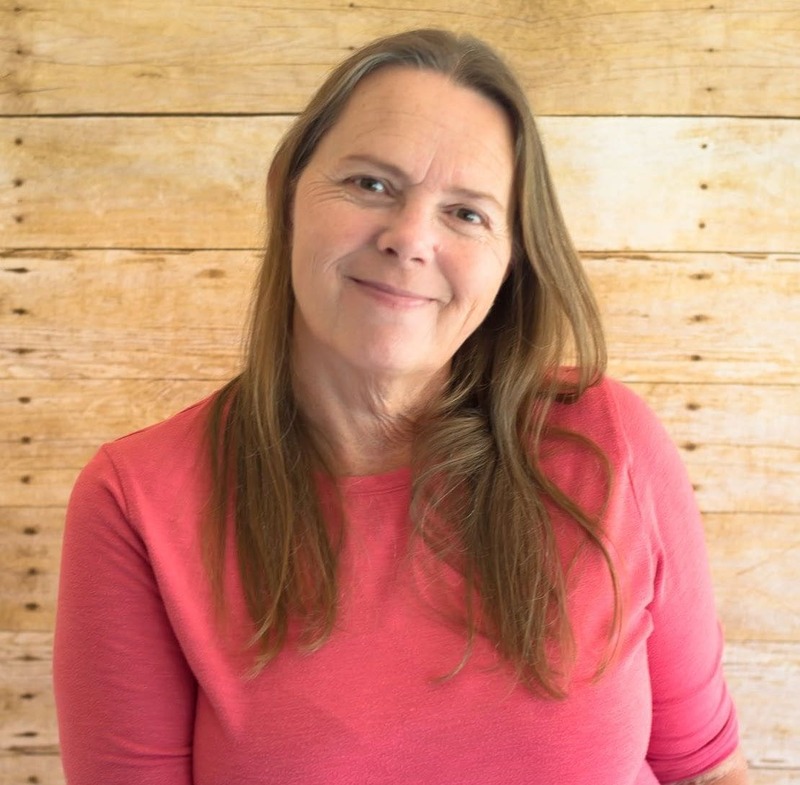 It is usually a recipe they have seen me share on my blog. 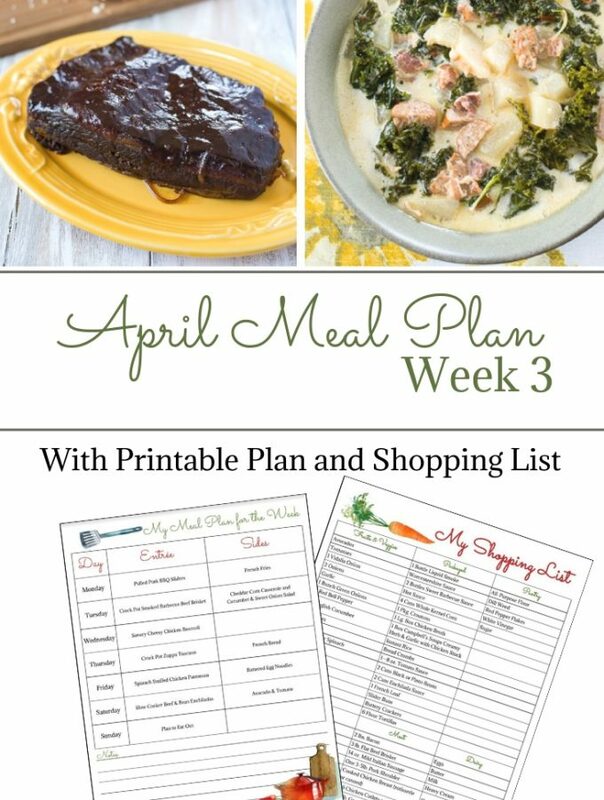 I love to tell them go to my blog and print out the recipe so you can make it yourself. They don’t like to hear that. They want “Mom” to make it for them. 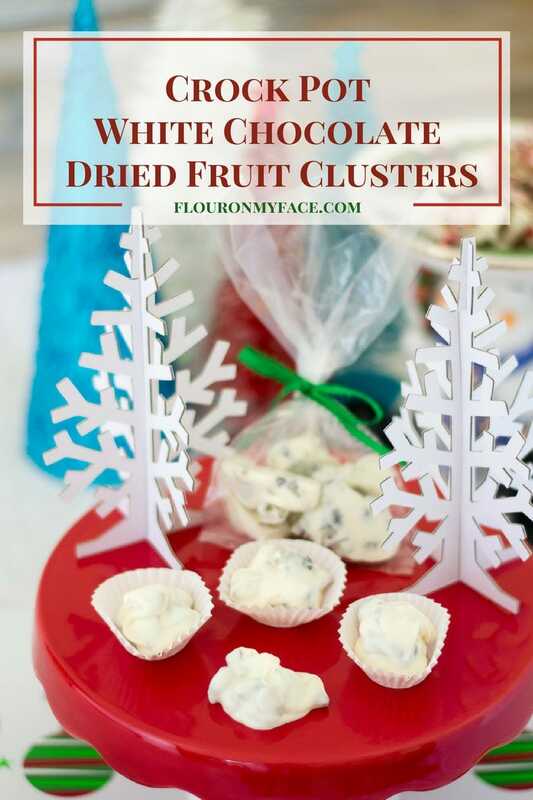 You can make a variation of this crock pot candy recipe using white chocolate and dried fruit as I have with the Crock Pot White Chocolate Fruit Clusters recipe. 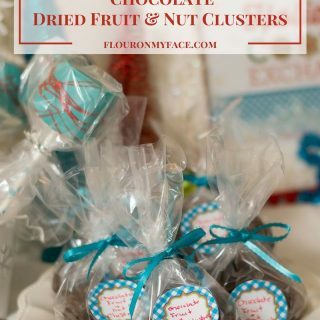 These Crock Pot Chocolate Dried Fruit Nut Clusters are so easy to make. All you need is some chocolate bark or chocolate chips, dried fruit, and some nuts. 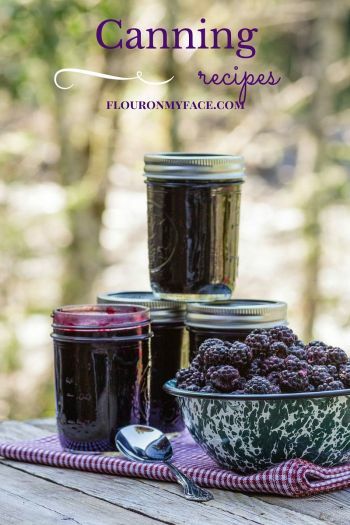 You can use a bag of mixed dried fruit or you can use dried cranberries, dried apricots, raisins or any other type of dried fruit that you like. 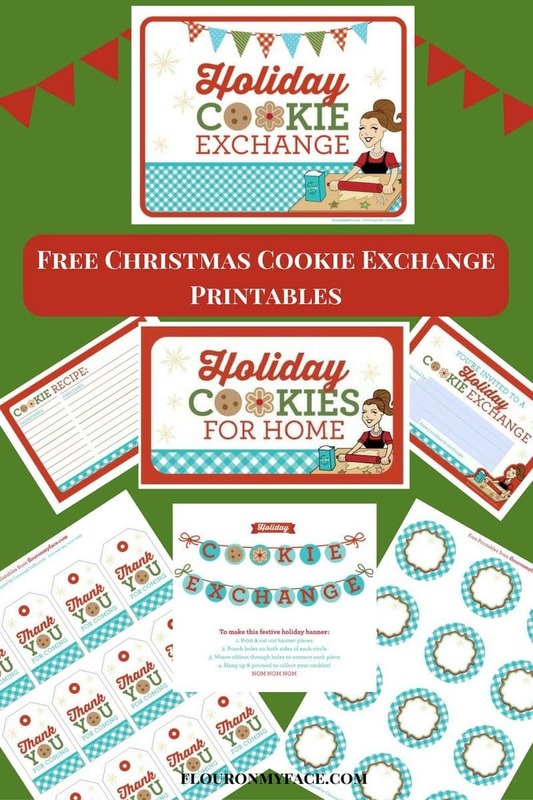 You can drop a spoon full of the melted chocolate, fruit and nuts onto a parchment paper lined cookie sheet and once they harden you can put them in cellophane treat bags. 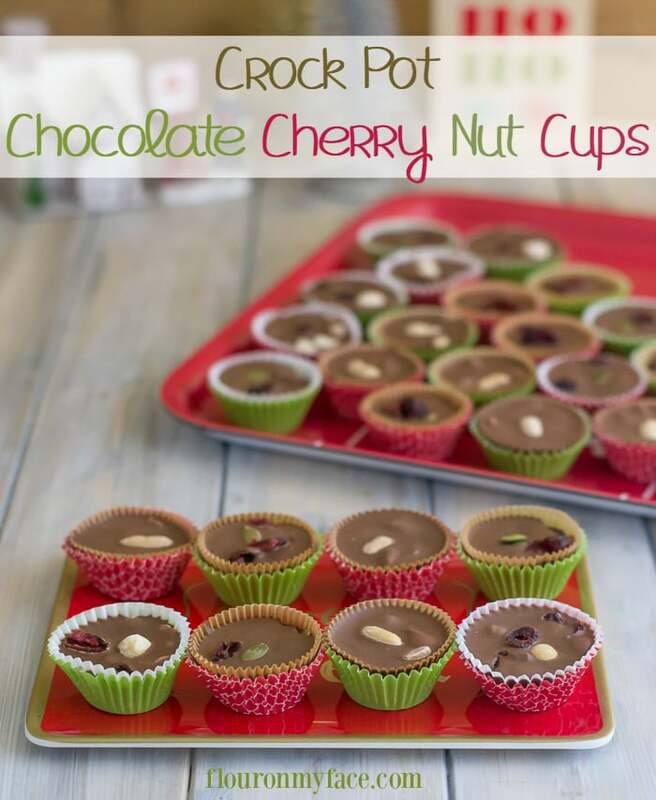 Or you can fill small paper cups as I did with these Crock Pot Chocolate Cherry Nut Cups recipe. Place the Almond bark into a 2 or 4-quart crock pot set on low. Heat until melted, occasionally stirring. Once the Almond bark has melted and there are no longer any large lumps add the dried fruit and nut mix, dried cherry Craisens and pecan pieces to the crock pot. Mix until well combined. Using a small cookie scoop drop scoops of the cluster mix onto a cookie sheet that has been lined with parchment or wax paper. Store candy in an airtight container or individual cellophane bags tied with a ribbon for Christmas. 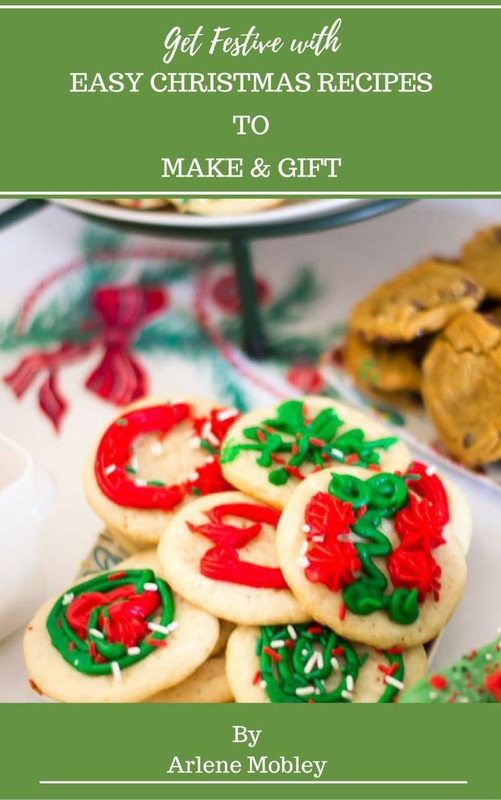 One of the easiest homemade Christmas candy recipes you can make. 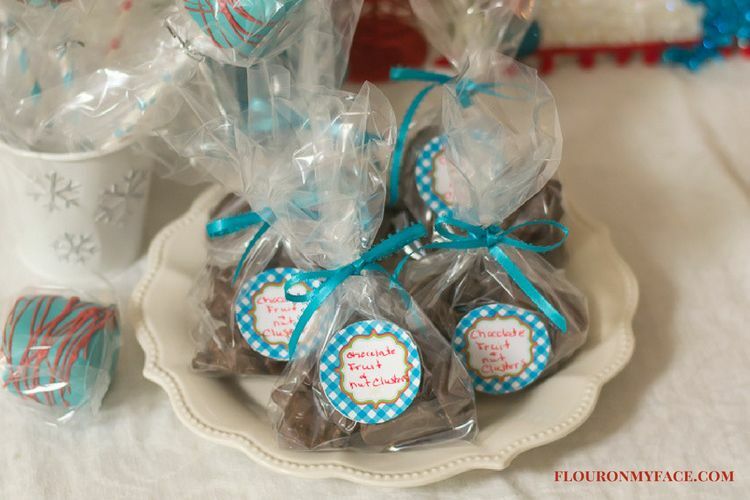 Use your crock pot to make quick work of these Crock Pot Chocolate Dried Fruit-Nut Clusters. Place the Almond bark into a 2 or 4 quart crock pot set on low. Store candy in an air tight container or individual cellophane bags tied with a ribbon for Christmas. 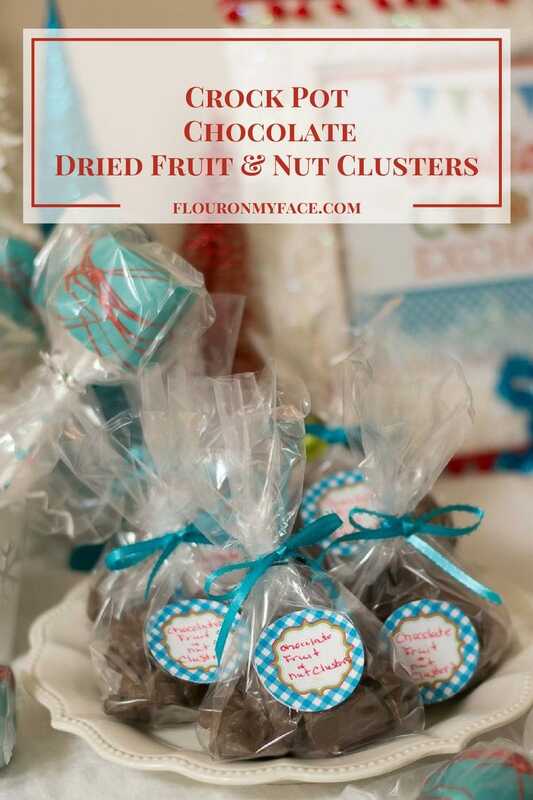 Looking for more crock pot recipes like this Crock Pot Dried Fruit-Nut Clusters recipe? 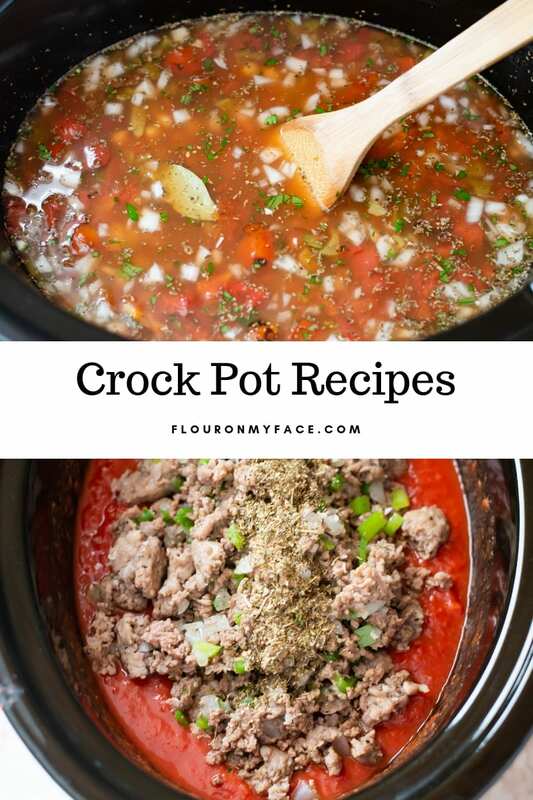 Head over to my crock pot recipe page for over 200 Crock Pot Recipes. What a great gift. 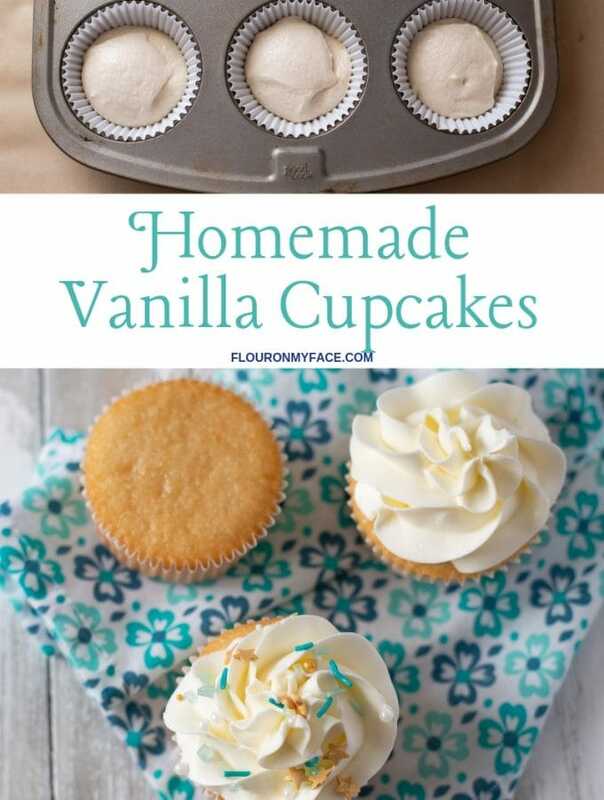 I love homemade food gifts, they really say you care. 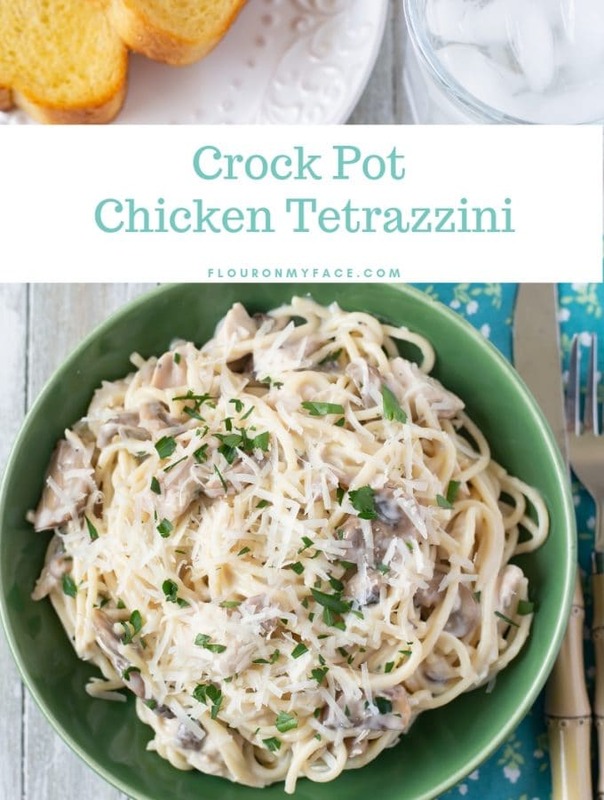 And I never would have thought to use a crockpot for something like this. Great Idea! It really makes melting the almond bark so much easier. Thanks for stopping by!